Old Tappan originally belonged to the Lenni Lenape Indians. New settlers purchased land from the tribe which was much later incorporated, in October 1894. Isaiah Stokes arrived in America in 1873, from England, and purchased 40 acres of land in Old Tappan and started a farm. 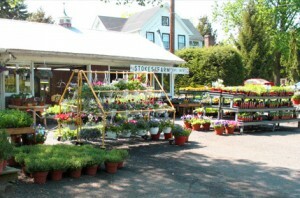 From that era to today, Stokes Farm continues as a small but viable farm. Old Tappan offers a Senior assisted living facility, Sunrise of Old Tappan and the Old Tappan Golf Course, which is borough run. Residents can also take advantage of the nearby Harrington Park Swim Club> and enjoy views of the bordering Lake Tappan. Children in Old Tappan attend the T. Baldwin Demarest School from kindergarten through 4th grade, then the Charles DeWolf School for 5th through 8th grade and Northern Valley Regional High School at Old Tappan from 9th through 12th grade. Bus service is provided by Rockland Coaches to both The Port Authority Bus Terminal and The George Washington Bridge Terminal in Manhattan.